8 weeks of summer camp have flown by! It’s hard to believe it’s over! Throughout the summer we watched our campers learn and grow as they had fun and made friends. Before we recap our final 2 weeks of camp, we want to say THANK YOU to our staff, therapists, collaborators, the folks who generously donated pizza every Friday, and especially OUR CAMPERS! It was our best summer yet, and we couldn’t have done it without such a wonderful group. 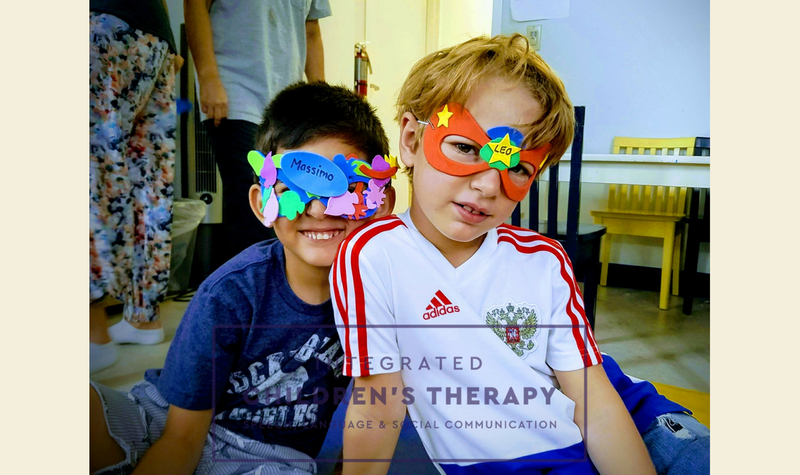 Activities for weeks 7 & 8 centered around the themes “superheroes” and “music,” and provided campers opportunities to practice social communication, language, sensory, and motor skills. 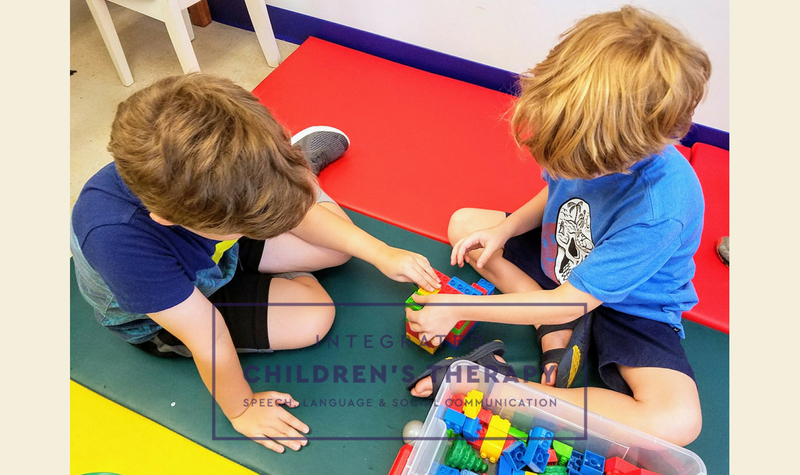 Our Little Engines group continued to learn and practice core Social Thinking® skills, including Connecting Thoughts and Feelings, Thinking with Our Eyes, Body in The Group, Group Plan, and Zones of Regulation®. • Size of the Problem – Campers learned to think about problems in terms of big, medium and small. We discussed how the size of a person’s reaction is expected to match the size of a problem. Campers were also introduced to “Glass Man,” who is one of the bad-guy “Unthinkables” from the Superflex Series. Glass Man tries to use his power to cause others to have “Big Reactions” to “Little Problems”. Campers learned strategies to defeat Glass Man by keeping their reactions under control, so that everyone could feel comfortable around them. 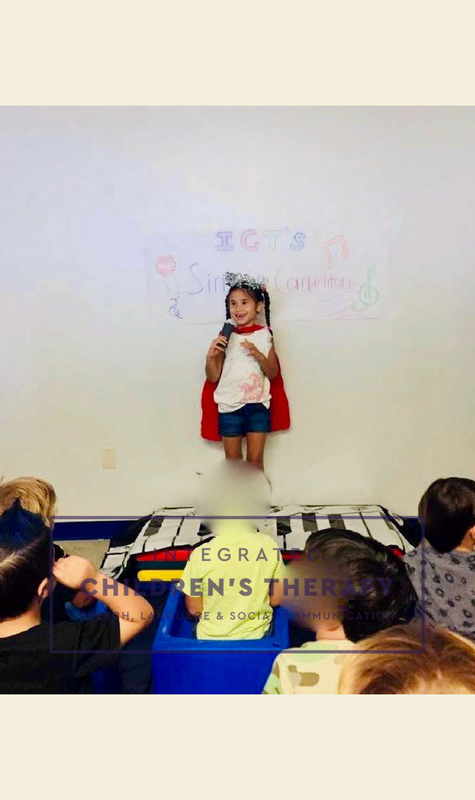 • Smart Guess – Campers learned to use their eyes and ears to gain information in order to make a “Smart Guess” (prediction, inference, etc.) about an individual or situation, which helps determine the “expected behavior”. Campers also learned that when we don’t pay attention that “hidden information,” it causes us to make a “Wacky Guess”. 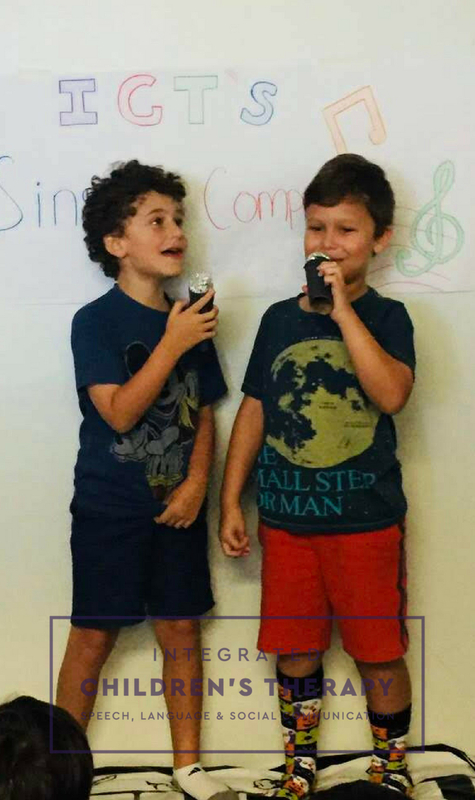 This was a super fun way for campers to use their imaginations, work as a group, take turns, and build confidence during “music” week. 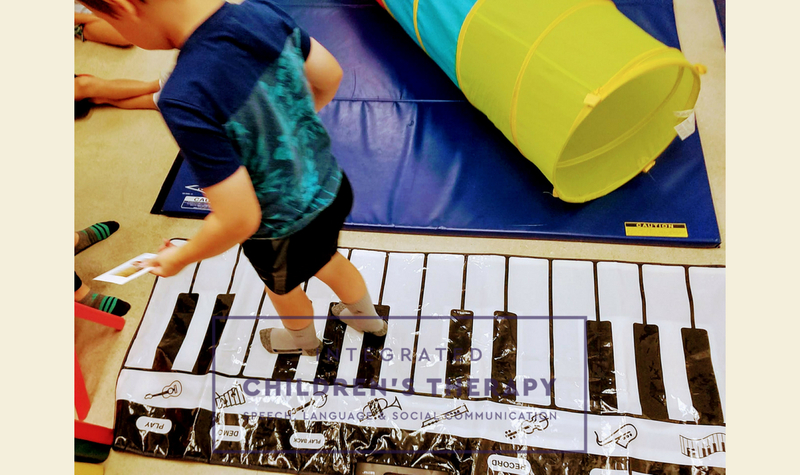 Among our many movement activities were obstacle courses, “Trampoline Tambourine,” and stepping on our giant keyboard. These supported sequencing, gross motor skills, motor planning, following directions, and teamwork. Crafts encourage following directions, sequencing, developing fine motor skills, and collaborating. Our crafts included superhero masks, superhero popsicle stick characters, microphones, and flutes! 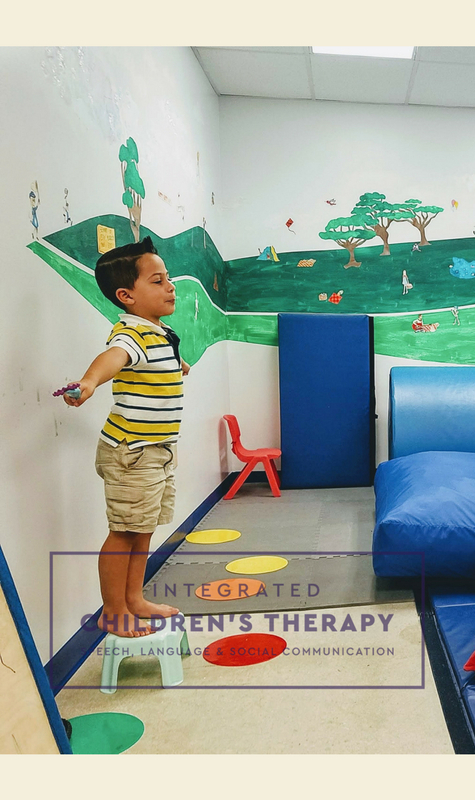 Each morning campers enjoyed facilitated free play with their friends, which allowed them to use their imaginations and practice social communication. 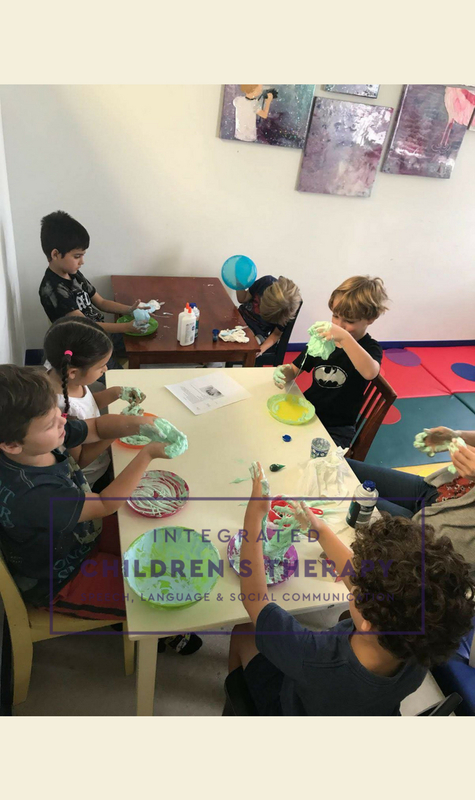 Therapists facilitated this play in a variety of ways, including encouraging campers to use expressive language, share objects and space, combine ideas, and work together to set up and clean up. Each afternoon, campers played a structured board game facilitated by a therapist. This encouraged self-control, waiting for their turn, learning game rules and why it’s important to follow them, getting used to winning and losing, and practicing sportsmanship. In our Big Engines group, most campers played in pairs, which allowed them to practice collaborating and compromising. Our weekly science lessons (this time including making slime!) 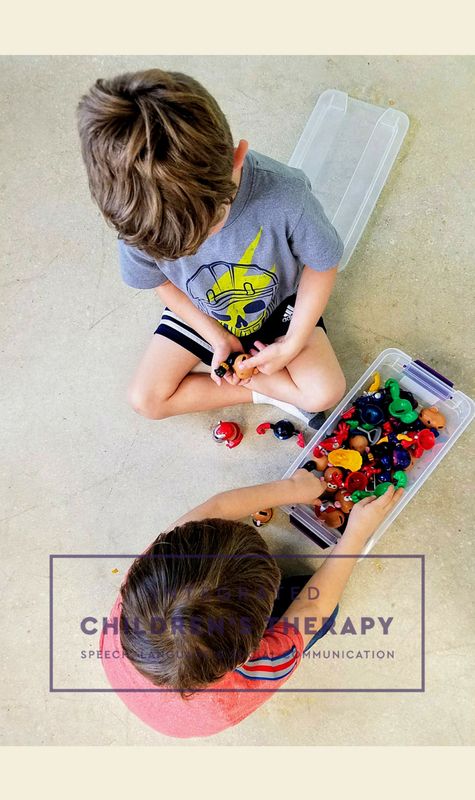 were a hands-on, sensory-rich way to foster important skills including following directions, sequencing, making predictions, and describing attributes. 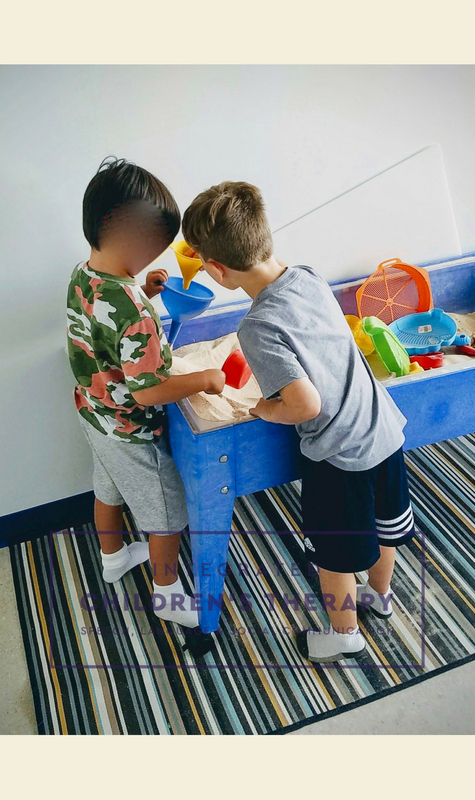 Sensory play included exploring a variety of textures while “rescuing” superheroes from mixtures of sand, rice, shaving foam, and water beads. Throughout the summer our daily yoga classes with Ms Jacki were a favorite amongst campers! 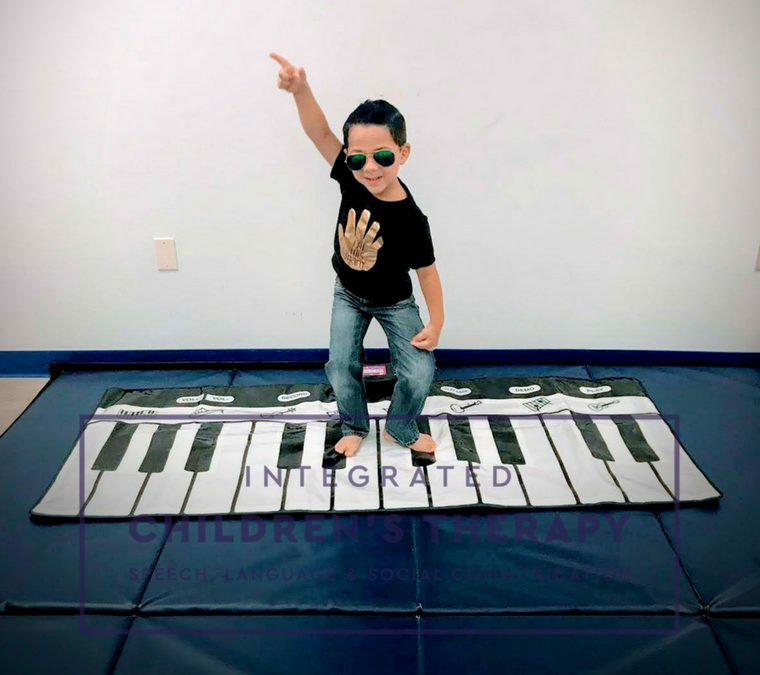 Jacki is trained to teach yoga to children with special needs. 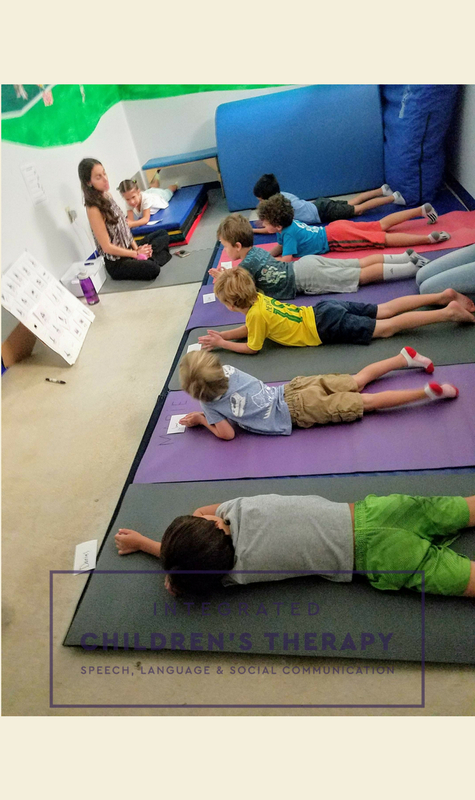 Her classes helped campers increase body awareness, flexibility, coordination, and understanding of calming strategies. It was amazing to see our returning campers become more and more independent in using the poses, and even assist new campers. 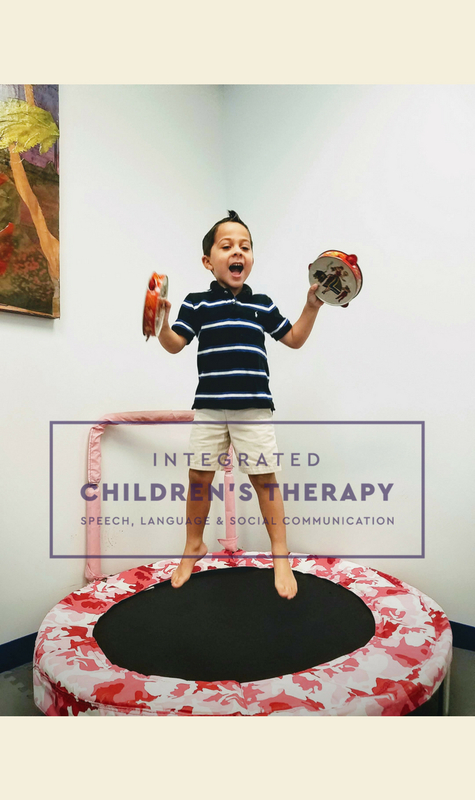 Daily circle time provided a structured environment where campers could identify how they were feeling, ask and answer questions with peers, make predictions, wait their turn, and practice social communication skills. 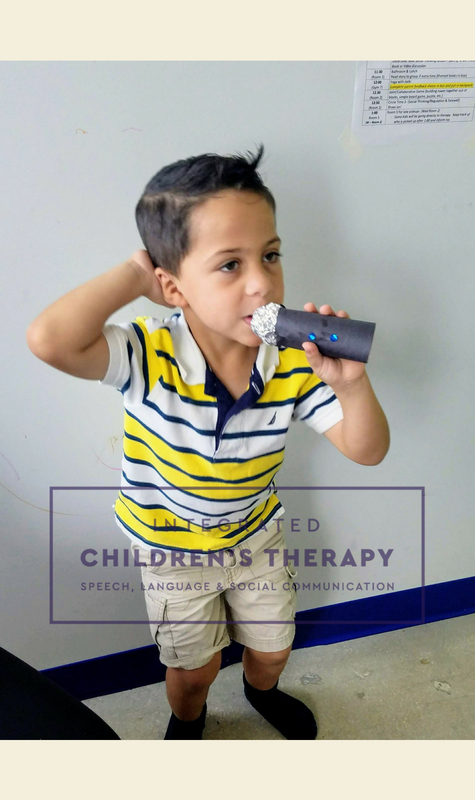 Campers were encouraged to use Social Thinking® and Zones of Regulation® visual supports and vocabulary. 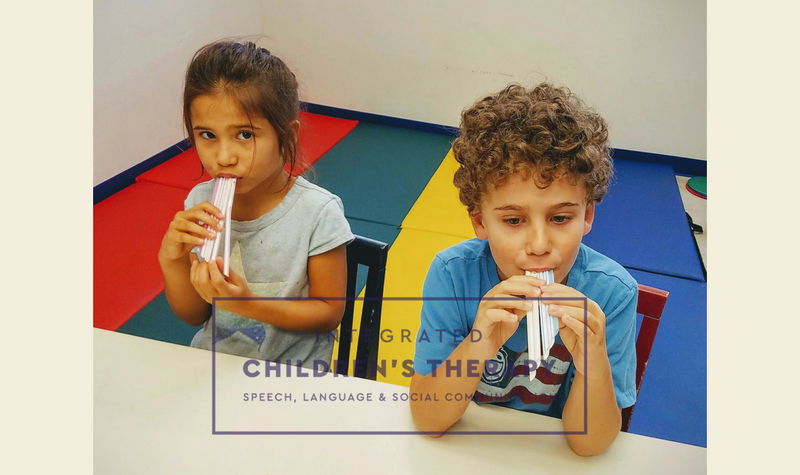 We were thrilled to watch many of our regular campers learn to do this independently. 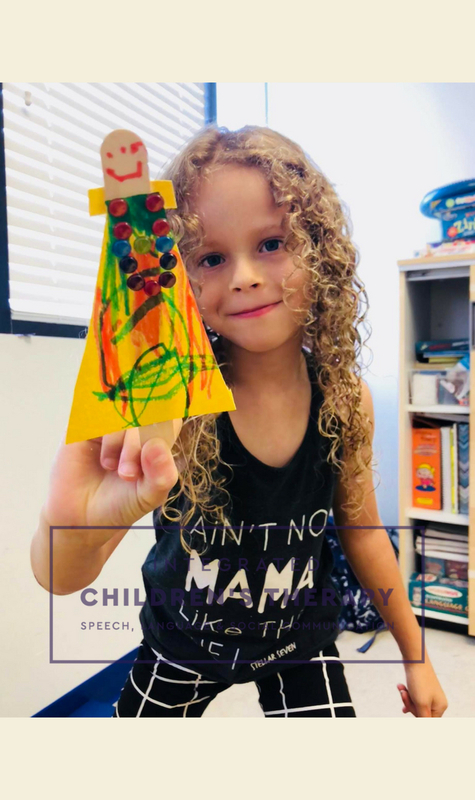 Older campers continued to participate in the HearBuilder Program (a computer-based program that “provides individualized instruction in basic concepts, following directions, phonological awareness, sequencing, and auditory memory”). We were so pleased with the children’s interest and enthusiasm during their HearBuilder time! Now we turn our attention to Back-to-School! 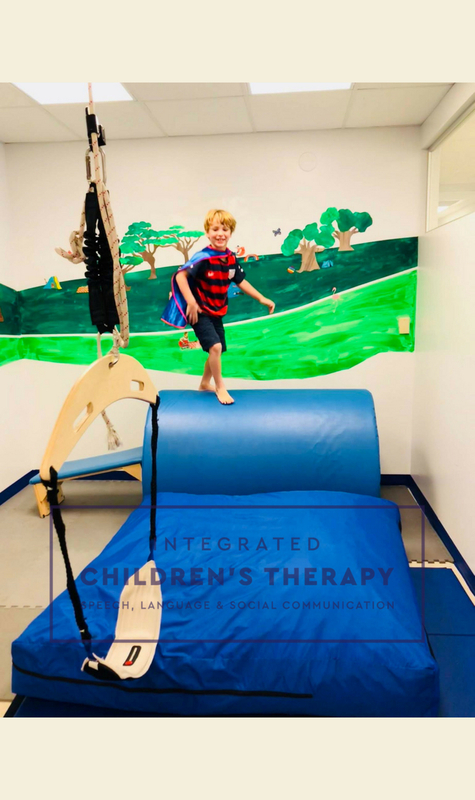 If you missed our article with parent tips for preparing children for the transition from summertime to school time, you can find it here.